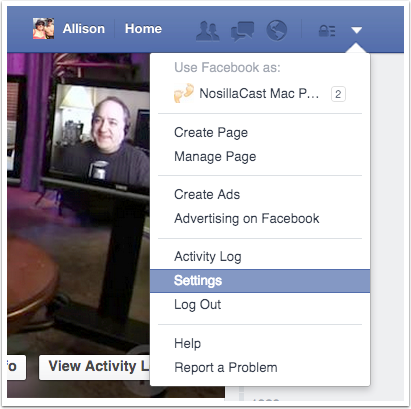 Recently Facebook decided that we wanted our feeds littered with auto-playing videos. The only saving grace is that the audio doesn’t also play but it’s still distracting and annoying to many of us. Luckily, there’s a switch to turn it off from the web-version of Facebook, and in a completely different place to turn it of for iOS. This quick tutorial will show you how to stop the madness! Navigate in your browser to http://facebook.com using Chrome. For some reason, the Videos button is not there if you use Safari. In the upper right you should see a tiny blue downward triangle that houses a menu of options. By the time you read this they’ve probably moved it again, but you’re looking for Settings. If you don’t see Videos in the list on the left, you may have missed the first instruction that said to use Chrome. It is inexplicable to me why it doesn’t show up in Safari. Celebrate. Now move on to fixing your iOS devices as well. 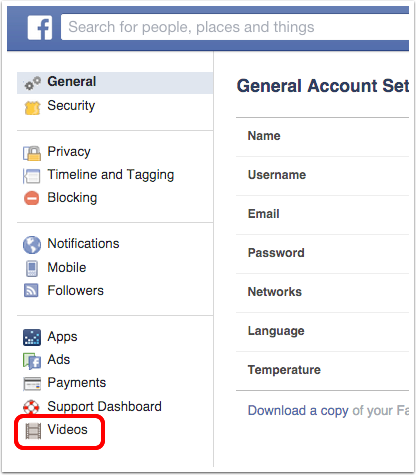 In iOS version of Facebook, there is not a Settings option for video auto-play, you need to go into the iOS-level Settings menu and scroll down to Facebook. 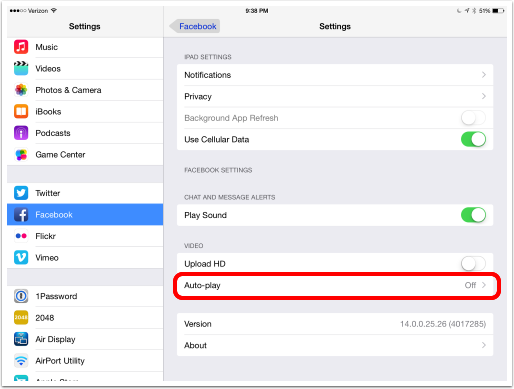 Tap on Auto-Play under Video and select Off.